Jack of all trades, master of none. That was the first phrase I thought of when I was contemplating how I wanted to describe the Son & Park Beauty Water and Beauty Filter Glow Cream. But that’s really not it. I’ve been pleasantly delighted by how multi-use these products are, and how well they perform no matter how I use them. I’ll be honest - I don’t know a lot about Son & Park. I know that it was created by Korean makeup artists, I know that they also make color cosmetics, and I know that they are said to be cruelty-free. My purchase of the Beauty Water was off pure impulse and a need for an affordable-but-luxury-feeling toner. It quickly became an essential part of my skincare routine. Although I purchased it originally to be a toner, I realized quickly that it was essentially a magic eraser for makeup. I no longer feel the need to use an oil cleanser on my eyes - the Beauty Water is all I need. If I were a true minimalist, this product would replace makeup wipes, oil cleansers, and toners. The Beauty Filter Cream Glow is the cruelty-free M.A.C. Strobe Cream dupe I’ve been searching for. Although I’ve discovered luminous primers like the Honest Beauty Everything Primer, none have had the same pink/red iridescent glow that makes my skin look so perfectly luminous. I’ve used it a number of ways - as a lightweight moisturizer, as a primer, as a subtle highlighter when I’m not wearing makeup. It works well at all three, but keep in mind that I have generally normal skin in the winter time. In an Atlanta August, I will certainly not be using this as my only primer. Also, there are no pore-blurring properties. In fact, most dissatisfied reviewers pointed to this as their primary complaint. Pores are not a problem for me, so I cannot speak to this, but if they are a problem area for you, you may want to avoid the Beauty Filter Glow Cream. You might be wondering about the ingredients. Well let’s be clear here - these are not “green” beauty products. The Beauty Water is mostly natural with a few synthetic ingredients and some sensitizing natural extracts and oil, but since it’s on my skin for less than a minute I’m fine with that. 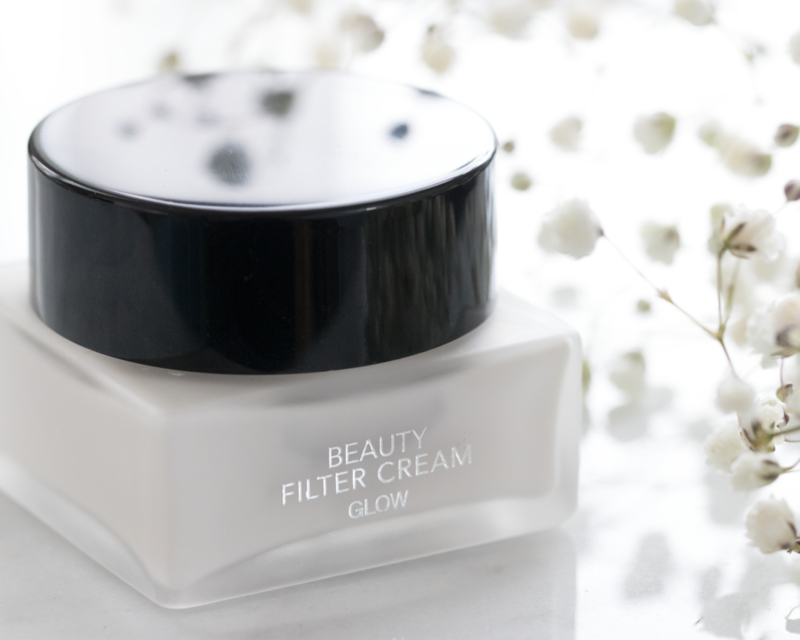 The Beauty Filter Glow Cream has a silicone base with some similar ingredients to the Beauty Water, but I’m fine with it. The Beauty Water has nothing that screams out as animal-derived, but the Glow Cream does contain pearl. Ultimately if you wear conventional cosmetics, there’s nothing new here. 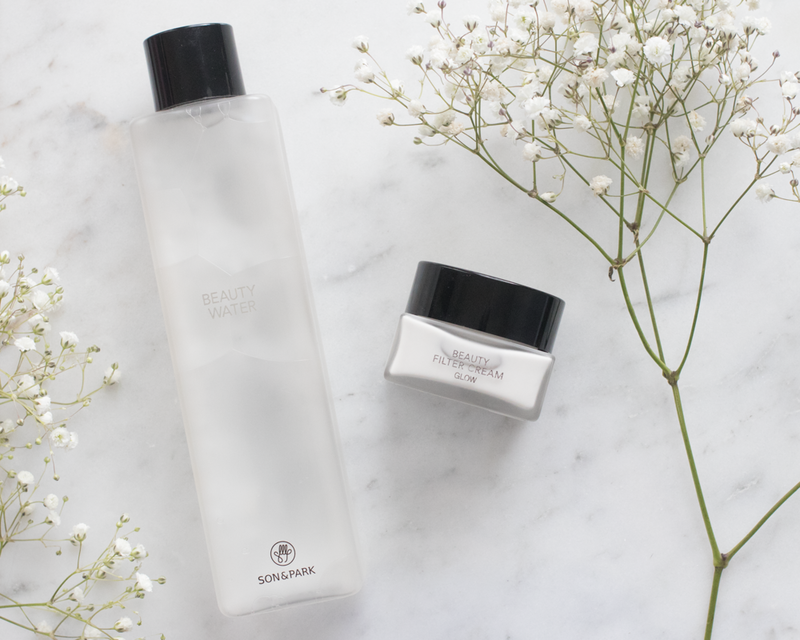 So if you’re looking for a highly effective, all-purpose cleansing water I highly recommend the Beauty Water and if your skin concerns are more centered around dullness than oiliness the Beauty Filter Glow cream is a great option for makeup prep.